Double-click the navigation bar in the meal list scene. A cursor appears in a text field, letting you enter text. Type Your Meals and press Return. 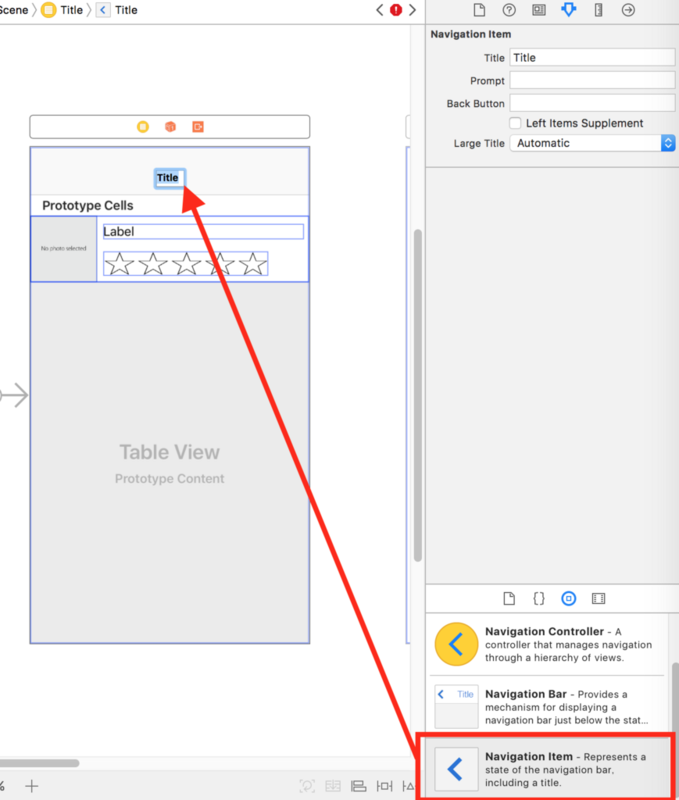 This sets the title for the table view controller’s navigation item.